The new and improved version of the original HTC Titan, the HTC Titan II is now available for purchase through AT&T in the United States. As we reported late last month, the HTC Titan II Windows Phone has become available alongside the Nokia Lumia 900. HTC is sticking close to Nokia for that number one spot in Windows Phone manufacturing. 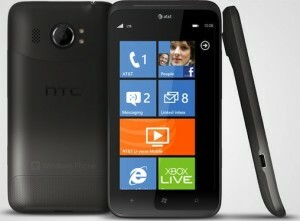 However, the HTC Titan II has a price that is double the price of the Lumia 900. The HTC Titan II is set at a $199.99 price for new/upgrade customers, $549.99 no commitment. Click here to visit the AT&T HTC Titan II product/order page and get yours now!